Contact me for pricing and to discuss your order. There are no set color schemes. We aim to provide an individualized unique product. 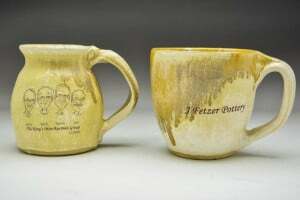 The medallion mug is a new product. 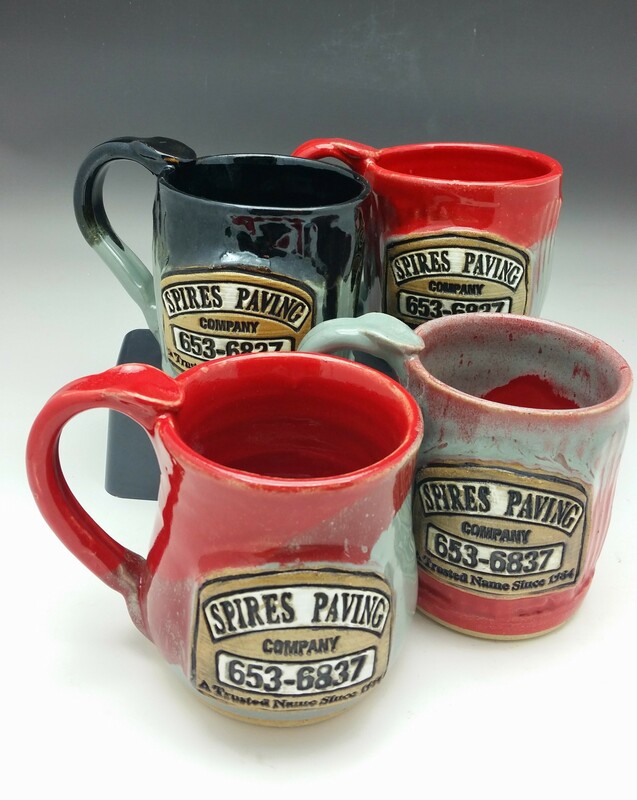 Your company logo or a personal design is stamped into the clay and then hand painted. 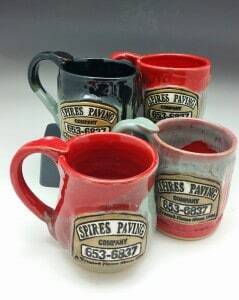 These mugs are labor intensive, but look great! Please contact us for pricing. Quantity discounts are available. Almost anything you can print from a computer can be applied in this single color image. Allow your imagination to create a very special gift for someone in your life. The process requires a third kiln firing which results in a lighter coloration of the glazes. 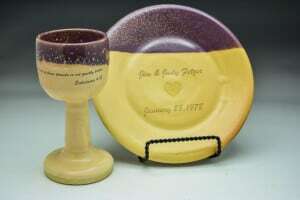 Pictured is our individual wedding communion set and a small chalice. This set retails for $40. Please contact us for a quote to commemorate your special day. Church Communion sets are available by special order. No photo of a church set is available, but it usually consists of two 10 inch plates, a pitcher and two large chalices.